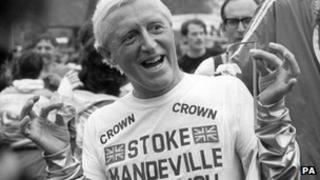 The strand of a police operation investigating abuse carried out by Jimmy Savile has been completed, with the number of alleged victims believed to be over 500, the BBC understands. Scotland Yard said Operation Yewtree, the inquiry into historic abuse, was collating its report and hoped to publish early in the New Year. Yewtree has three strands - offences committed by Savile, those by him and others and those just by others. Seven people have been questioned. Of these six were under arrest. High-profile names arrested in connection with the investigation are PR consultant Max Clifford, comedian Freddie Starr, DJ Dave Lee Travis and former TV producer Wilfred De'Ath, who all deny any wrongdoing. Gary Glitter, who was also arrested, has not yet made a statement. A man in his 80s was also questioned and a man in his 60s was arrested on Monday. Operation Yewtree has 30 officers and has so far cost around £2m. Scotland Yard said it hoped to provide as clear a picture as possible of Savile's offending, "giving a voice to those who have come forward and helping shape future child protection safeguards". "We are extremely grateful to those victims who have contacted us and commend their bravery. Without them we would have no investigation," a spokesman said. "To date, in excess of 500 victims have come forward and we have recorded 200 allegations of sexual assault." Savile, who died last year aged 84, was best known as a Radio 1 DJ and the presenter of the Jim'll Fix It show on BBC One. The BBC has announced two inquiries as a result of the abuse claims and a further review into the current sexual harassment policies at the corporation. There is a further investigation into the circumstances surrounding the dropping of a Newsnight investigation into Savile. Other inquiries being carried out into Savile's behaviour, besides Operation Yewtree, include the director of public prosecutions' review into the decision not to prosecute Savile in 2009.